Caring for an elderly loved one is a rewarding duty, but it comes with many challenges and stressful times. Here are some of the steps you can take to ease your duties before they lead to mental and physical exhaustion and eventually caregiver burnout. Your loved one may seem like he or she is able to do a lot independently, but when you step into your caregiver role, you may notice he or she needs more help than you imagined. If you continue to do everything on your own, you may be headed toward exhaustion, which is why you should reach out to others for help. Together, you can develop a schedule that makes the caregiving process easier and less stressful. Family members may be willing to help if you ask. If you are the primary family caregiver for a senior loved one living in Clarksville, 24-hour care is available if your loved one’s health has become too difficult to manage without professional expertise. At Home Care Assistance, we take measures to help seniors prevent illness and injury by assisting with exercise and mobility, preparing nutritious meals, helping with bathing and other personal hygiene tasks, and much more. Resentment and animosity are some of the emotions caregivers may experience at some point. If you spend every moment trying to enhance your loved one’s life and putting your own affairs on hold, you could experience burnout. Working on your career goals is a good way to find balance between your personal life and your caregiving duties. Having someone to talk to is always a good thing, especially during times when you feel lost and ready to walk away from your caregiving duties. When the daily challenges become overwhelming, you don’t have to hold all of your emotions inside. Instead, you can speak with your mentor in confidence. He or she can be the shoulder you lean on, someone who will give you advice, or the person you spend time with. A mentor is there to pick your spirits up and give you a break away from caregiving. Most family caregivers are thrown into the position without time to learn what it entails. Lack of knowledge can lead to stress, anxiety, and exhaustion. However, learning more about your loved one’s health condition could make your duties less challenging. When doing research, you can find a variety of resources available to seniors that make your job easier, such as meal assistance and transportation services. Not every senior has the same care needs, which means they don’t all need the same home care services. 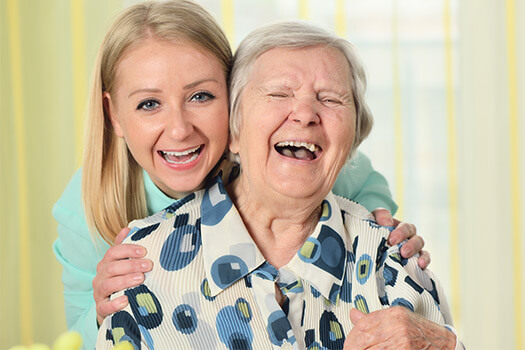 Clarksville Home Care Assistance can provide individualized care plans to meet your elderly loved one’s unique care needs. Our holistic Balanced Care Method was designed to help seniors focus on healthy lifestyle habits such as eating nutritious foods, exercising regularly, and maintaining strong social ties, and our Cognitive Therapeutics Method offers mentally stimulating activities that can stave off cognitive decline and delay the onset of dementia. Taking a break is necessary, regardless if it is for a few hours each day, a couple of days throughout the week, or for extended periods. If you have scheduled a vacation with your spouse and kids, using in-home respite care gives you the necessary time off without compromising your loved one’s care. You can also use professional in-home respite care to help out while you are handling your personal needs, such as attending doctor’s appointments, going to lunch with friends, watching your child’s music recital, or simply taking a much-needed break. By hiring professional caregivers, family members can reduce their risk of experiencing burnout. In Clarksville, TN, respite care is a great help to many families. Caring for a senior loved one can be overwhelming at times, which puts family caregivers at risk for burnout. However, an in-home caregiver can take over your loved one’s care, allowing you the time you need to focus on your own health, maintain a full-time job, or care for other members of your family. Call Home Care Assistance at (931) 444-1950 to schedule a free in-home consultation.